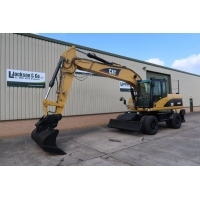 Caterpillar 308 tracked excavators, off set boom, zero tail swing. low hours. 450 mm steel tracks.